As a powerful free YouTube downloader for Windows tool, Free YouTube Downloader for Windows allows you to free download all YouTube videos including YouTube VEVO videos to your Windows (Windows 10 included) computer. 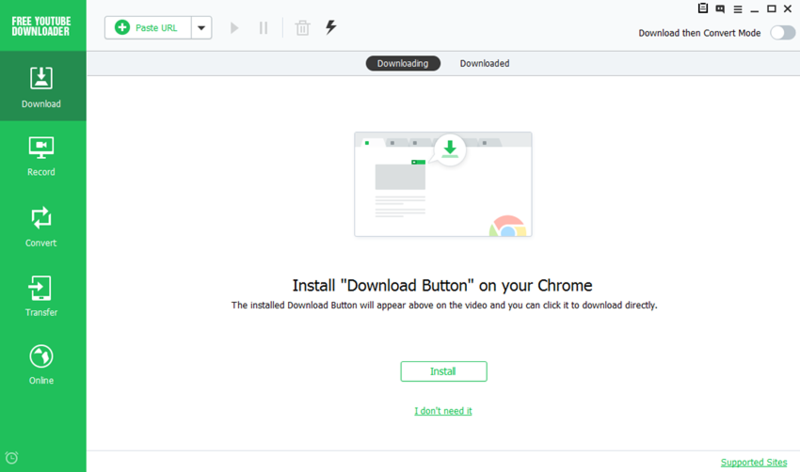 You can download YouTube videos in program built-in browser or your computer browser. You can also set Shutdown, Sleep or Exit Program in this smart software when you finish downloading YouTube videos, in this case, you don’t need to wait for the ending of downloading at the computer. Download Free YouTube Downloader for Windows and follow this guide to download video from YouTube for completely free.